I never had too many struggles or issues with my skin as a teen or in my early twenties. That all changed when I got pregnant with my daughter. While pregnant I developed severe melasma, which is hyperpigmentation(brown patches) caused by hormonal changes. Unfortunately, melasma cannot be treated during pregnancy and even after is very tricky. There are some instances where it will actually go away after pregnancy, but that wasn't the case for me. Being an esthetician and treating people for their skin concerns made me hyper-aware of my new skin problems and I knew I needed to get on some good quality prescription products to help fade the hyperpigmentation fast. I turned to the Obagi Nu-Derm products to renew my skin and bring it back to life all while lightening the hyperpigmentaion. Over the counter skin lightening products just aren't strong enough to make a dent in stubborn hyperpigmentation- going the route of prescription strength hydroquinone and tretinoin will definitely yield the best results. 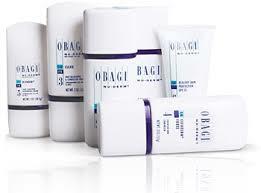 To this day I continue to use the Obagi products every winter for a good renewal and to brighten my skin, there really is no other product line available to deliver the results that Obagi can. I am a huge fan of using a Clarisonic cleansing system and have incorporated one into my skin routine for as long as I can remember. I do change my brush heads depending on what products I'm using at that time to avoid irritation or over exfoliation. I truly believe everyone should being using a Clarisonic in their daily skin. I love knowing that I am getting my skin as clean as possible and getting the best use out of my products as possible as well. When I'm not using the Obagi products I make sure I use a topical Vitamin C serum and a broad spectrum SPF daily to get the best protection possible to try to keep as much hyperpigmentation as possible at bay. I do struggle a small amount with breakouts and I also am aware of early signs of aging so alternating products like Skin Ceuticals Blemish & Age Defense and a Retinol keeps my breakouts under control and my cell turnover up to speed to keep my skin looking as young and healthy as possible. I have recently started using Lytera Skin Brightening Complex to aid in fading any left over hyperpigmentation, I'm seeing great response from adding this product to my regime. Having BBL treatments has been wonderful for treating my hyperpigmentation. 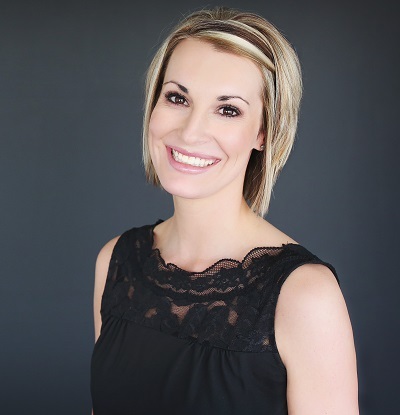 I have had many photorejuvenation procedures over the years, but have never seen the results that I have seen with just one BBL. I cannot say enough great things about that treatment. I also like to maintain my skin with regular dermaplaning and microdermabrasion treatments. I would love to help you with your skin in the Kansas City area and find the perfect fit of products and treatments for you! Contact me to schedule a complimentary skin analysis to get started today!